Dolby has been changing the way we watch movies since the early 90’s. With 5.1 and 7.2, Dolby Digital and Dolby DSX are becoming a thing of the past. 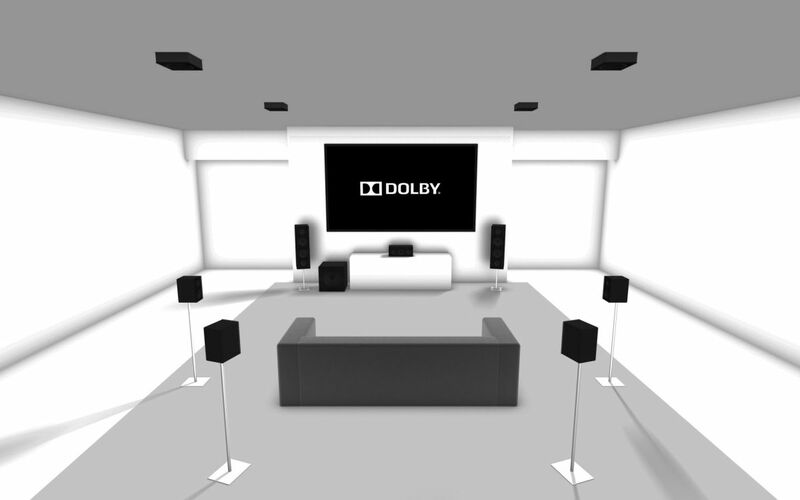 Dolby has introduced the latest format for home theaters, Dolby Atmos. With Dolby Atmos you will not only hear things specifically where they are coming from, but it will make you feel like you are literally there. Processing over 128 channels of sound and effects, your mind will be taken away and you will forget that you are even at home. Rain drops coming from specific in-ceiling speakers while the blades of a hovering helicopter from another speaker. That is the beauty of Dolby Atmos. The great thing about Dolby Atmos is even if you have a older 5.1 or 7.1 system you can easily upgrade to Dolby Atmos. All your speakers can still be utilized and put towards the Atmos system.